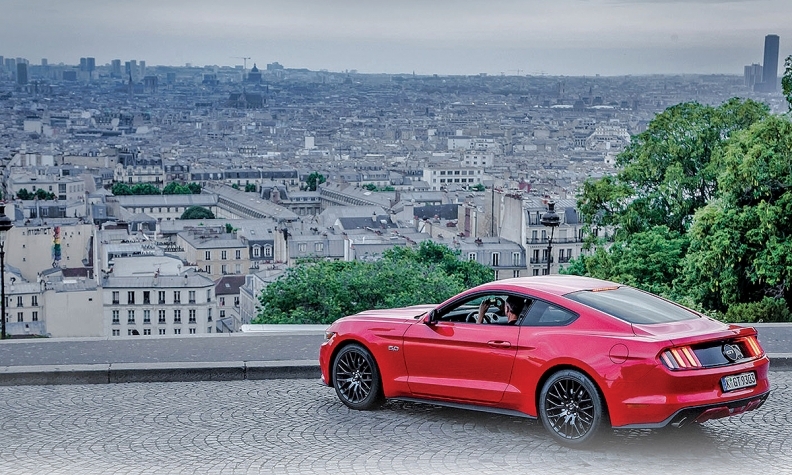 Ford's Mustang has become a strong seller in Europe. GENEVA -- General Motors offered some compelling reasons for why it has to clear out of Europe -- killer competition among nonluxury rivals, a Byzantine regulatory environment and reduced product synergy with North America and the rest of the world. It's a powerful argument, but then there's archrival Ford, which gets buffeted by the same headwinds as GM, whether home or abroad, yet earned $1.2 billion in Europe last year. "Our businesses are in very different places," said Ford of Europe Chief Operating Officer Steven Armstrong. For one thing, Armstrong says Ford of Europe got serious about restructuring well before Opel. In fact, the situation here is reminiscent of how Ford fixed its U.S. balance sheet in late 2006 and 2007 (mortgaging the company in the process) and avoided bankruptcy. 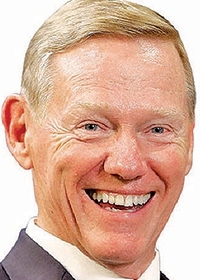 Europe, it turns out, is Alan Mulally's second miracle. "Alan did a good job of realigning our objectives -- and actually executing," said Armstrong. PSA's takeover of Opel does change the age-old competitive framework involving Europe's six volume groups -- and forces some rethinking. "I'm looking forward to learning more about what they plan to do," Armstrong said. "But it won't change in the near term how we're running Ford of Europe. We were very profitable in 2016 and that was because of the work done in prior years. We started our restructuring ahead of many of the other brands and are benefiting from it now -- proving that you can be a volume player in Europe and be profitable, and produce cars that people want to buy. "As it gets more competitive -- as I think it will as those two companies come together -- we'll adjust. But in the short term we'll look to see if it helps us to sell in certain areas, whether there is any upside for us. We're certainly not frightened by the change." Ford closed three factories this decade, but executives say there is more to its European turnaround. In a region with razor-thin margins, Ford says it has pushed up transaction prices with its Titanium, Vignale and ST trim levels. "That strategy of finding better ways to differentiate our products is helping us to drive better margins," said Armstrong. "We saw that a lot of customers were specifying right up to the top of the Titanium trim levels, so we saw an opportunity to add in the Vignale line to give customers another step up." Vignale accounts for about 10 percent of the mix on the vehicles where it's offered. GM says selling Opel means that its global engineering demands are suddenly a lot less complex. What's more, executives say, product synergy between Europe and the rest of the world is decreasing. But Ford of Europe product development chief Joe Bakaj says Ford's global engineering structure works fine. "One Ford is working for us," he said. "The Mustang last year was the No. 1 selling sports car in Europe. It outsold the Porsche 911 in Germany. How could that happen without strong global engineering?" A decade or so ago, the Mustang's manual gearshift was, Bakaj concedes, "a point of contention." But the current shifter, developed with Getrag and refined in Europe, has been acclaimed by European car critics. "Through One Ford we were able to apply manual transmission expertise in Europe into the global product, and we now have a great-shifting Mustang that has done really well," he said. "That to me is a great example of how global engineering can work for us, taking the best knowledge from each region. The Focus RS developed in Europe and now sold in the U.S. was set up to go more than 160 mph on the German autobahn. "When you develop a vehicle to be safe and controllable at those speeds, it forces you to cascade that knowledge right down into the details of every component in the vehicle," Bakaj said. "If [Ford product development boss] Raj Nair was here he'd tell you how fortunate he is to have part of his product development team here in Europe."